The founder of Institut Montana Zugerberg held strong beliefs in the power of education to help sustain a more peaceful world. Max Husmann was also a key player in the “Operation Sunrise” during World War II, which ultimately culminated in the first surrender of German troops in Italy in May 1945. 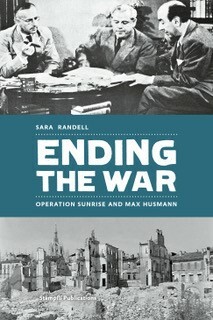 The newly published book “Ending the War” tells the story of Dr Max Husmann and Operation Sunrise. It provides insights, not only into a remarkable episode in 20th century history, but also into the man who made Montana so exceptional a school. Find more information about the book here. The book can be ordered online at Stämpfli Publications or directly on Amazon.